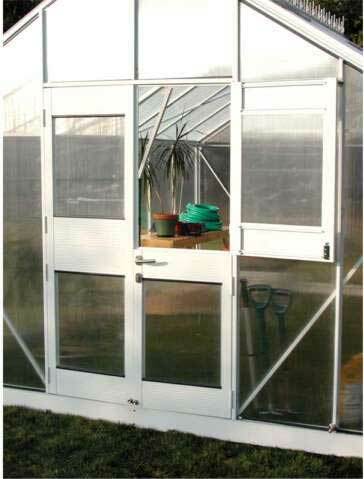 5' H sidewalls give you more growing space, as well as more headroom. 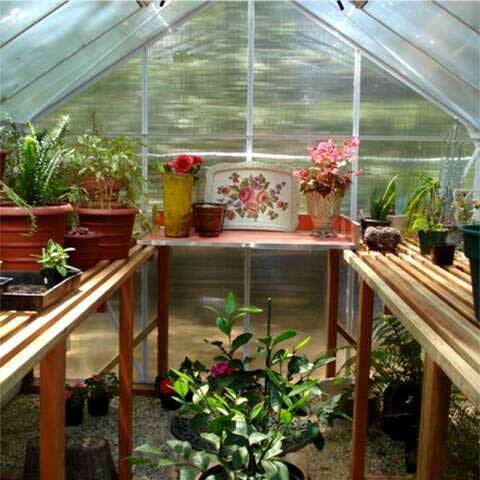 Panels are constructed from UV-stabilized 6mm polycarbonate for superior heat retention and hot spot reduction. 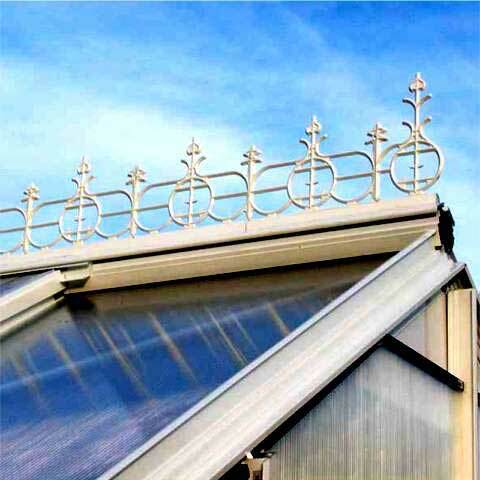 Heavy duty, powder-coated aluminum profiles create a stable and sturdy frame. 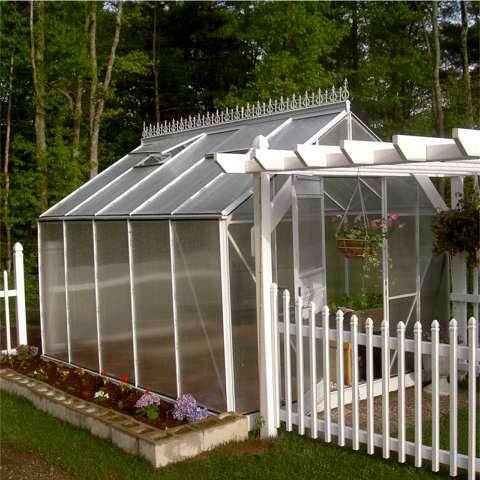 Frame has a bright white, powder-coated finish that is attractive in any backyard. Decorative peak adds elegance and beauty. 9'1"W units have one 2'6"W Dutch door. 11'8"W units have total door width of 3'10" (one 23"W Dutch door and one 23"W standard entry door). All are 6'H and come complete with rugged stainless steel locking door handle and nickel-plated dead bolt. Multiple vents offer improved air circulation. 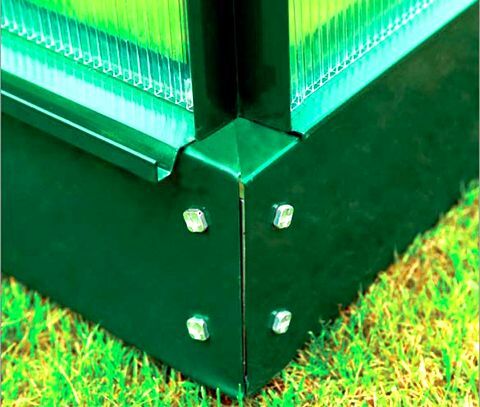 Install our energy saving Solar-Powered Vent Opener for automatic climate control and optimum growing conditions. We recommend using the powder-coated steel base, sold below. 10 year warranty on both frame and polycarbonate. Cover Material: 6mm Twin-wall polycarbonate. Frame Material: Heavy duty, Powder-coated Aluminum. End material: 6mm Twin-wall polycarbonate. 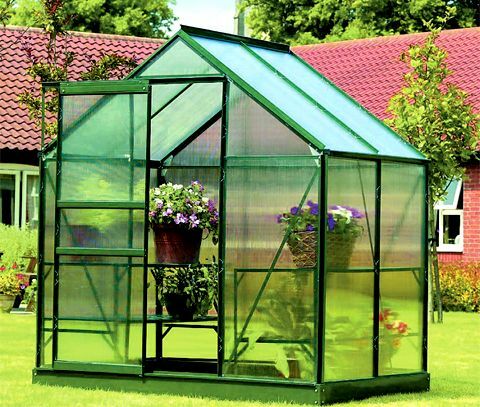 Warranty: 10 year warranty on both frame and polycarbonate.